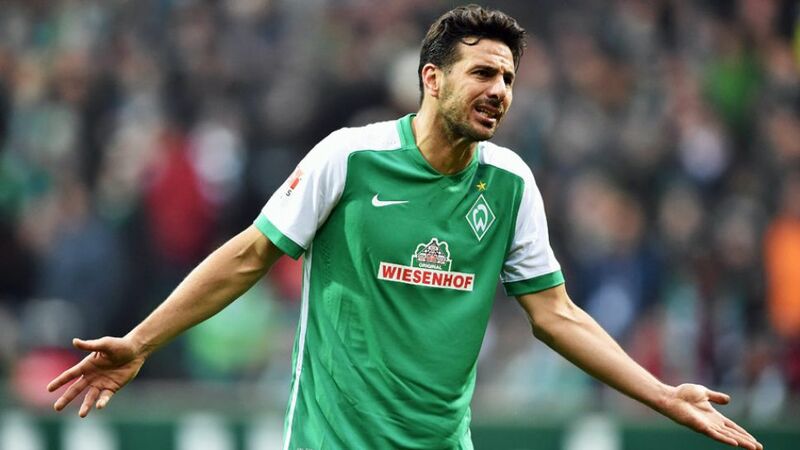 SV Werder Bremen leading goalscorer Claudio Pizarro has been ruled out of Saturday's trip to Dortmund because of injury. The 37-year-old is still feeling the after-effects of a back strain picked up in Peru's 1-0 defeat to Uruguay in the CONMEBOL section of 2018 FIFA World Cup qualifying on Tuesday. The news will come as a real blow to Werder head coach Viktor Skripnik, Pizarro having scored six goals in his last four Bundesliga matches and 12 for the season. The Green-Whites travel to Dortmund in 14th place, with just a point separating them from the relegation zone.